The KGI Securities analyst, who has a strong track record in predicting Apple's future product plans, believes Apple's new 4-inch iPhone will resemble an upgraded iPhone 5s. The handset will come in a metal casing, and will feature identical camera specifications to the current entry-level iPhone, he said. The improved 4-inch iPhone is expected to be targeted toward emerging markets and budget-focused consumers, allowing the flagship larger models to stand on their own. But in a key specification upgrade, Kuo said the new 4-inch iPhone will boast an A9 processor, as well as near-field communications technology for Apple Pay. He expects the device will cost between $400 and $500, with the goal of reaching emerging markets and consumers looking for a more affordable iPhone. As for a launch timeframe, Kuo said he expects an improved 4-inch iPhone to ship in early 2016, potentially around the March-April timeframe. Full shipments for the calendar year are expected to reach 20 million units, accounting for about 8 to 9 percent of total iPhone sales. That early launch could help iPhone suppliers, Kuo said, allowing new momentum during a typical "slow season" for iPhone sales. Orders for the next-generation "iPhone 7" are expected to start one quarter after Apple begins assembling the new 4-inch iPhone model. Though it will look largely like an iPhone 5s, Kuo said the design won't be completely unchanged. Specifically, he expects the new, smaller iPhone will feature "2.5D" cover glass, or slightly curved like on the iPhone 6 and iPhone 6s, rather than the flat "2D" cover glass on the iPhone 5s. Finally, the analyst also believes that Apple will offer the iPhone 5s in two or three casing colors. 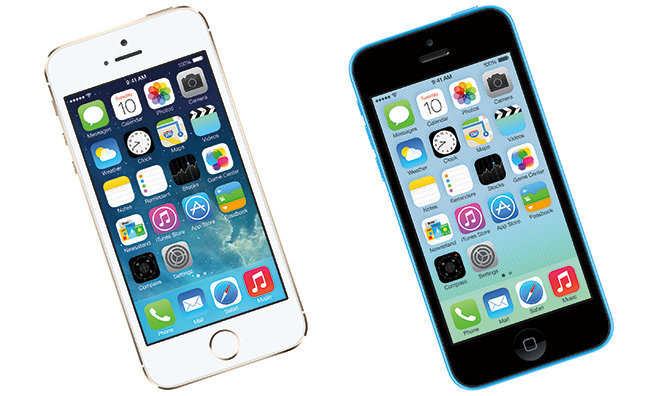 The iPhone 5s was initially offered in three colors, including gold, but since it has been relegated to Apple's entry-level models, the color options have been reduced to simply silver and space gray. Kuo first reported a month ago that Apple's new, metal 4-inch iPhone will be powered by the A9 processor. Other rumors have suggested Apple will instead include the A8 chip, which is currently found in the iPhone 6 series. An early 2016 launch for a new 4-inch iPhone could help offset traditional seasonal sales declines for Apple. The analyst also indicated last month that he does not expect the new 4-inch iPhone will include the force sensing 3D Touch capabilities found in the latest flagship model, the iPhone 6s. Multiple reports have suggested that Apple plans an earlier-than-usual launch for an overhauled 4-inch iPhone in 2016. In recent years, Apple has launched new handsets in the September timeframe. Kuo has an extremely strong track record in predicting Apple's future product plans. In particular, he correctly predicted all of the company's fall 2015 product updates, including a slightly thicker iPhone 6s with Series 7000 aluminum and 3D Touch input, as well as a larger iPad Pro with pressure-sensitive stylus. He also correctly predicted in April that Apple would not launch a new 4-inch iPhone model this year, at a time when many rumors still pointed toward a new budget-focused model in 2015. As for the flagship 2016 model, Kuo believes the so-called "iPhone 7 Plus" will feature 3 gigabytes of RAM in its "A10" processor, an increase over the 2 gigabytes found in the A9 chip on the iPhone 6s Plus. While the larger 5.5-inch model will receive the RAM boost, he indicated that the 4.7-inch "iPhone 7" is unlikely to see a RAM increase, and will feature the same 2 gigabytes as the iPhone 6s. AppleInsider's own sources indicated last month that Apple executives are apparently considering a slightly earlier launch for the "iPhone 7" in 2016. While the iPhone 6s and iPhone 6s Plus arrived in the hands of consumers on Sept. 25, a reliable insider said that the next-generation iPhone could arrive a few weeks earlier than that timeframe.